Back in 2003, I was strongly in favor of the invasion of Iraq. I thought George Bush made an excellent case for the war; he gave Saddam every chance to avert the fight; he bent over backwards to bring in more allies and he took his case to Congress and got approval to go to war. Knowing what we know now, it’s very unfortunate that the linchpin of his case was that Iraq had weapons of mass destruction. At the time we went in, that wasn’t very controversial. Saddam was trying to make everyone think he had WMDs, Intelligence agencies all over the world believed he had them and the Democrats who looked at the same intelligence reports Bush did drew the same conclusions. For example, here’s Hillary Clinton – who also voted to go to war – making the case for war (Emphasis mine). Yes, Iraq did actually have WMDS – but, they were old weapons from before the Gulf War. Saddam also had all the pieces in place to restart his program and fully intended to do so. If we hadn’t stopped him then, we’d have had to stop him later – and there were a lot of reasons beyond that to go after Saddam. He was an avowed enemy of America; he tried to assassinate former President Bush; his men were regularly firing on American aircraft; he provided a safe haven for terrorists of global reach including the men behind the 1993 WTC bombing and he provided Al-Qaeda training, shelter and contacts. The world, the Middle East and Iraq are all better off without Saddam Hussein in it. However, like most of the American public, I was unpleasantly surprised by the fact that we had to station large numbers of American troops in Iraq over the long term. The Bush Administration did nothing to prepare the American people for that possibility. I later found out from Donald Rumsfeld that was because the Bush Administration thought it was very unlikely. Here’s an excerpt from our interview. As someone who supported the war from the beginning all the way to the present, there’s one thing I found particularly disappointing and puzzling. In the run-up to the war, the Bush Administration really didn’t do much to prepare the public for the idea that we’d be spending blood and treasure fighting an insurgency there for years to come. How did that come to be the case? “Well, first I would say that the intelligence assessment did not suggest that would be the case. As a result, the people involved did not raise that to the public as a high likelihood. George Tenet, in his book, acknowledges that fact and says that had they thought that was a high probability, they would have presented it as a serious probability and put it in the executive summary to make sure that it was considered and evaluated. Like most Americans, I was not happy to have American soldiers bleeding and dying in the streets of Iraq year after year. It is one thing to invade, depose a tyrant and try to start a fledgling democracy, but it’s another thing entirely to commit north of 100,000 American soldiers to a long-term guerilla war/police action in another country. Had Americans known that was going to happen, even Republicans wouldn’t have supported the war in the first place. However, once we were there, it didn’t make sense to give up and signal to the world that we were paper tigers by abandoning Iraq to Al-Qaeda and the insurgency. Had we simply turned tail and run, it would have been a disaster. So, I supported hanging in there – and contra what you heard from John McCain – like the majority of Republicans, I supported the surge. Joe Biden, Hillary Clinton and Barack Obama were all against it. The surge was extremely successful and generally pacified Iraq. Had that been the end of the story, despite all the soldiers who died, despite all the money we spent, I’d have still felt like we made the right decision. We had largely neutralized a threat in the Middle East, set up a shaky republic in Iraq, demoralized Al-Qaeda and killed massive numbers of Jihadis while drawing them into a fight away from America. It was far from an ideal situation, but at least we had a significant pay-off in hand for all the blood and treasure we spent in that godforsaken country. Then Barack Obama became President. 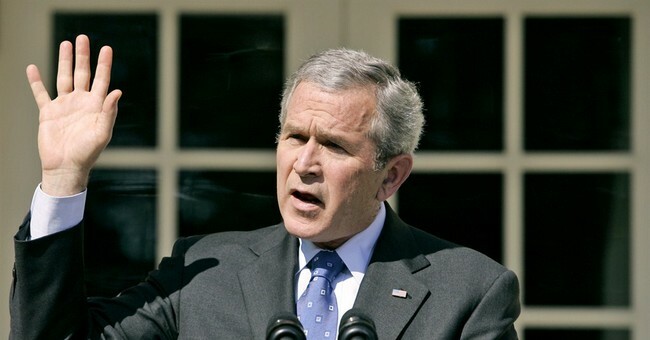 He was told over and over again that it was extremely risky to pull all of our troops out of Iraq for political reasons. Our own generals told him he should leave a residual force of 23,000 men there like we do in nations like South Korea, Japan and Germany. There would have been no need for them to police the country and casualties would have likely been extremely light. Our troops could have continued training the Iraqis, provided key intelligence, and helped lead Iraqi troops. A lot of us tried to tell him that it was essential we keep troops in the country to keep things from falling apart. “There’s a big problem with timetables — and for that matter, the whole “Are we gonna stay or are we gonna go?” debate. Even as things looked much better and Republicans started to come around to the idea of withdrawing troops, we still warned that it couldn’t be done at the expense of losing the war. “Now, if Obama can get all of our combat troops out in 16 months without Iraq flying apart at the seams, more power to him — and who knows? Maybe the situation will improve enough in the coming months that we can have our combat soldiers out by May of 2010. If so, that would be fantastic. I don’t know if the public is furious that Obama’s incompetence has “snatched defeat from the jaws of victory because of political gamesmanship,” but I am. Had Obama left residual troops in place, ISIS would have never been able to invade Iraq and it would be fighting and dying in a proxy war against Iran in Syria, a country that was already hostile to us. Instead, Obama has frittered away all the blood, sweat and tears our troops shed to get Iraq under control and has allowed Iraq to devolve into a winner-takes-all fight between Iran and ISIS. Despite Obama’s halfhearted bombing, ISIS is still gaining ground and what will happen over the long-term is unknown. Whatever it may be, it’s unlikely to be good for us or the Iraqi people. Worse yet, the only real fix for it would be a time machine because there’s no way we can morally ask our troops to go back into Iraq in large numbers after Obama carelessly tossed their victory away because he thought it polled well. Barack Obama lost Iraq after a Republican won it, just like the Democrats did in Vietnam and knowing THAT, I can no longer say it was a good idea to go into Iraq.